Hi there! 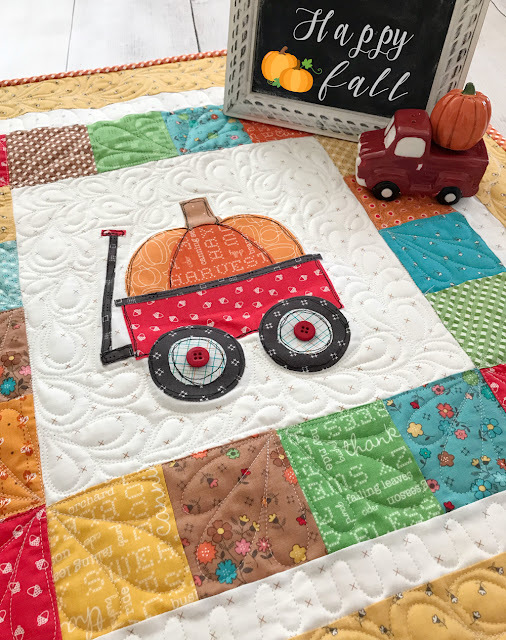 It is my turn to share my autumn love block! 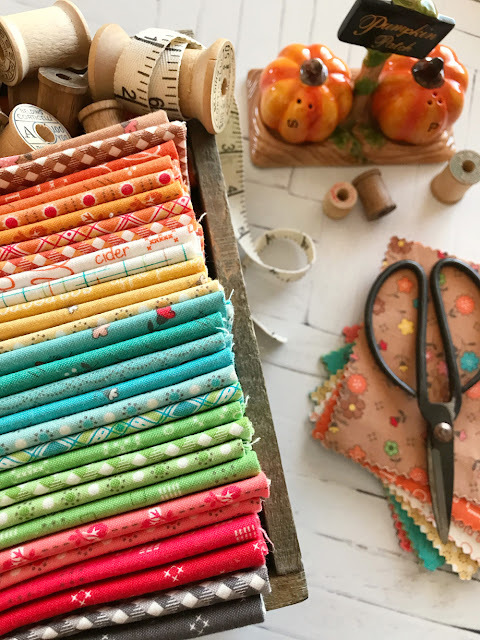 You guys, this fabric by Lori Holt is seriously sooo pretty! I think what I love most about this fabric is how a lot of the pieces can be used all year round, not just for fall! Plus, most of the prints are small scale, which is perfect for small blocks and pieces! I decided to go with raw-edge appliqué for my block, I have always loved doing raw edge, and doing fun stitching around my shapes! It gives it a whole different look - which I love! 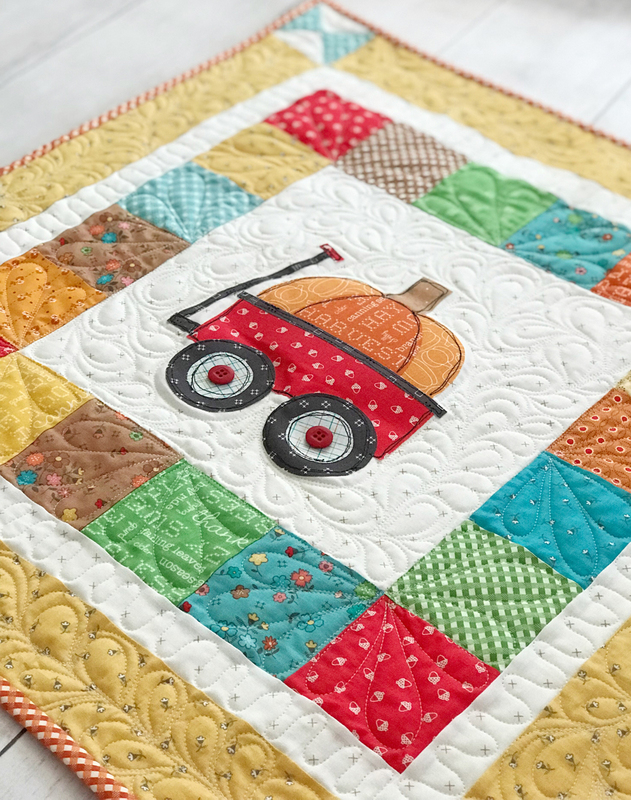 Once I had my block all appliquéd, and stitched, I added a patchwork border, then a simple white thin border and lastly, a thicker yellow border with cornerstone blocks. 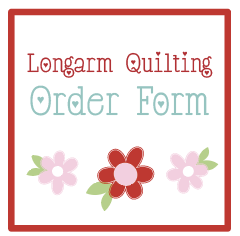 I decided to do some custom quilting on this cute table topper. I love how it just makes that wagon and pumpkin POP out! 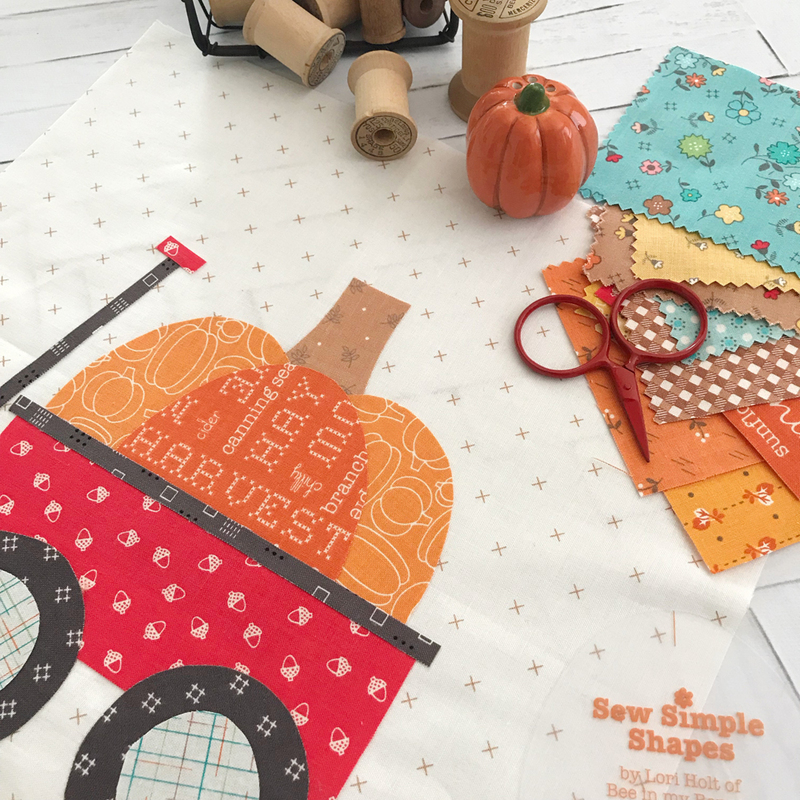 Be sure to stop by Lori's blog for all the Autumn Love Sew Along information! Happy Fall Y'all! 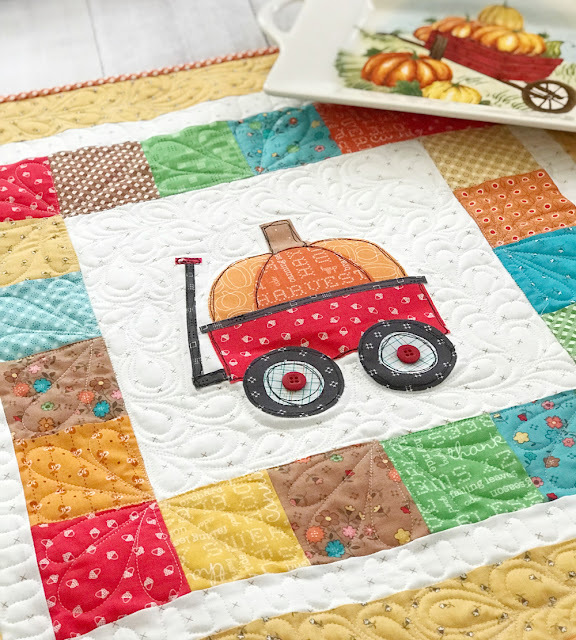 Is there a pattern for this great pumpkin wagon?